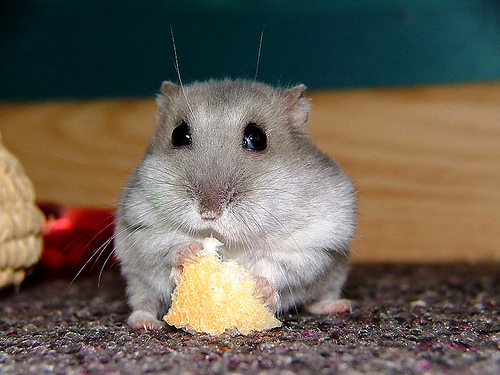 Since hamsters enjoy worldwide popularity as affable household pets as much as dogs and cats, an assortment of hamster-specific foods are available in the markets, including processed breads. As the teeth of these cute little rodents keep on growing perpetually, the only way to keep the incisors from becoming abnormally large is to continuously nibble or chew on food items given to them. Can hamsters eat bread or it should be avoided? Of course you may feed bread but only certain specific types and that too in small portions or crumbs. Though your hamster might not fall sick, offering bread to her will not make any difference to her overall well-being as this food item is not rich in nutrients. So, it’d be better if you got in touch with a vet or an animal nutritionist who’d be able to advise you appropriately on the subject of giving bread to your hamster. Nevertheless, always bear in mind that you should strictly avoid feeding white bread and always stick with brown bread. White bread under goes more processing compared to brown bread and also contains a higher level of sugar. Needless to say, you should make sure that you’re feeding your pet a balanced diet. So, in this respect offering bread on a regular basis may not be a very healthy option. If your hamster likes to munch on processed bread, then offer very small crumbs to her. To be on the safe side, toast the bread or dip the same in milk that has been boiled and cooled down, before offering it. Bread is undoubtedly one of the most popular of breakfast foods, globally speaking, and it is consumed in different forms all over the world. As this type of food item is processed from wheat, it retains most of the grain’s original nutrients even after artificial treatments. 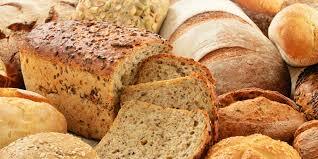 For instance, bread has a high fiber content, consuming it boosts metabolic rate and also checks constipation. Being rich in calcium, eating bread helps to keep bones and teeth strong and healthy as well as delays the onset of osteoporosis in middle-aged individuals if taken in combination with milk. Bread also contains high proportions of other minerals and vitamins that are essential for keeping your pet healthy. Since bread is processed artificially from wheat flour and not a whole food, feeding your hamster large amounts of the same might be detrimental to her health. 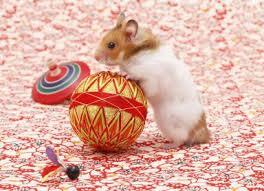 Your hamster might throw up or upset her stomach if you attempt to feed her more than is required. Can hamsters eat bread and milk? Yes you can dip the bread in milk and offer it to your hamster in small quantities. Can hamsters eat bread crust? You can offer the crust, but it would be nice to avoid the same. Can hamsters eat brown bread? Avoid offering brown bread to your pet. Can hamsters eat dry bread? It can be offered but its better to dip it in milk or slightly toast the bread before offering. Can hamsters eat toasted bread? Yes, but do not make it hard. Can hamsters eat white bread?